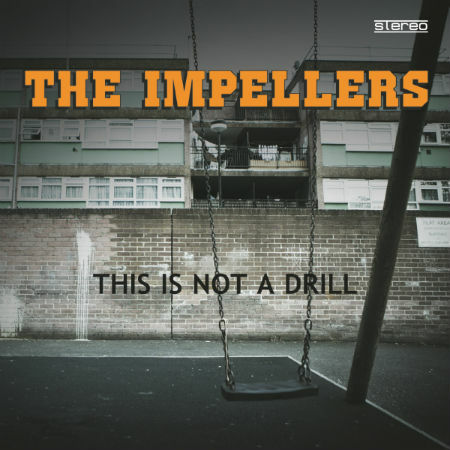 10-piece heavy soul and funk powerhouse The Impellers are very proud to present their long-anticipated second album “This Is Not A Drill”, a mix of strong original material and new versions of contemporary tracks, out on CD/LP/Digital on Legere Recordings. The new album brings together influences including heavy soul, deep funk, latin and afrobeats, hip hop production, and includes a funk re-version of the instantly recognizable “That’s Not My Name” by The Ting Tings. The Impellers first full album “Robot Legs” was released on UK independent label Freestyle Records and featured a guest appearance from DJ and latin percussion legend Snowboy. Since its release in 2009, the band have been busy touring across the UK, Netherlands, Spain, France and elsewhere. They have shared stages with some of the finest funk, soul, hip-hop, jazz and scratch DJ talent from around the world. Their live schedule has included shows with Marva Whitney, Breakestra, James Taylor Quartet, The Bamboos, Lack of Afro, Kid Koala, Hexstatic, Mr Thing (The Scratch Perverts), DJ Bizznizz (UK DMC Championships winner), DJ Vadim, Speedometer, Polar Bear, Part Time Heroes and The Nextmen. The band also played live sessions on the BBC in the UK and were recruited by renowned DJ and promoter Adrian Gibson to play a live mix of tracks from the seminal “Ultimate Breaks & Beats” records – 55 classic breaks in a killer hour-and-a-half, non-stop live set – played as if mixed by a DJ. The band were also featured live onstage with Brooklyn hip hop legends The B Boys in “King of the Beats – The Movie (Vol II)”. This is NOT a drill – This is 100% REAL!